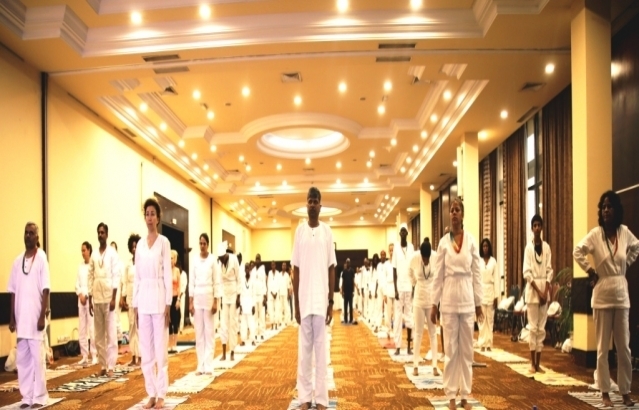 Fourth International Day of Yoga was celebrated in Bamako on 24th June 2018 at Hotel Laico L’Amitie of Bamako. 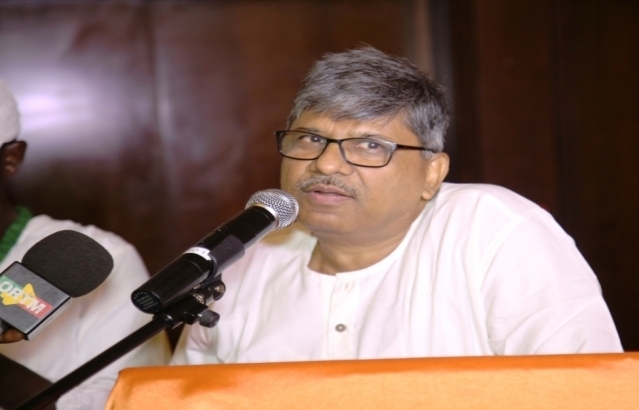 The Programme started with welcome remarks of Ambassador Pradeep Kumar Gupta and a short speech by the Chief Guest Amb. 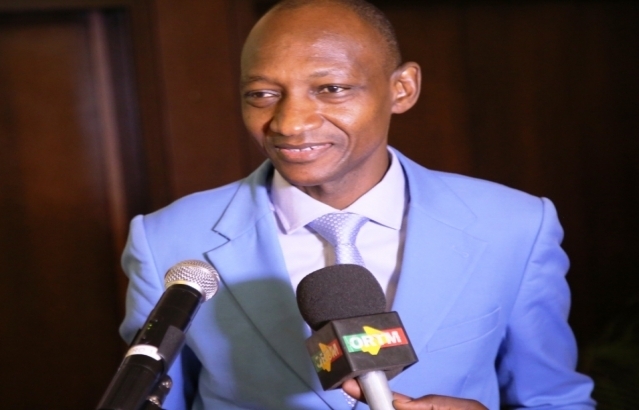 Mahmoud M. Arby, Director of Asia & Oceania at Ministry of Foreign Affairs of Mali. 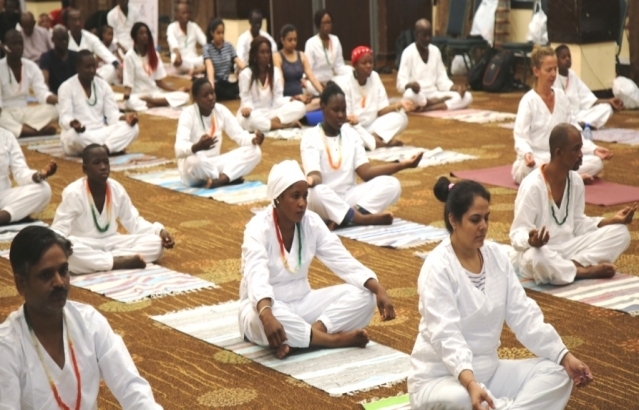 This was followed by Screening of video Messages of Hon’ble Prime Minister, EAM and Minister of AYUSH. 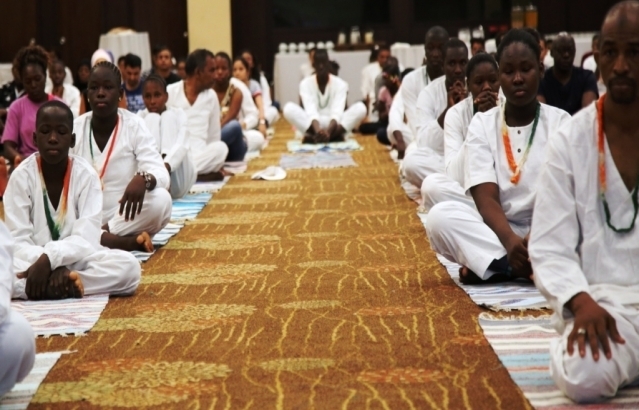 The Programme ended with enchanting of Peace Mantras. 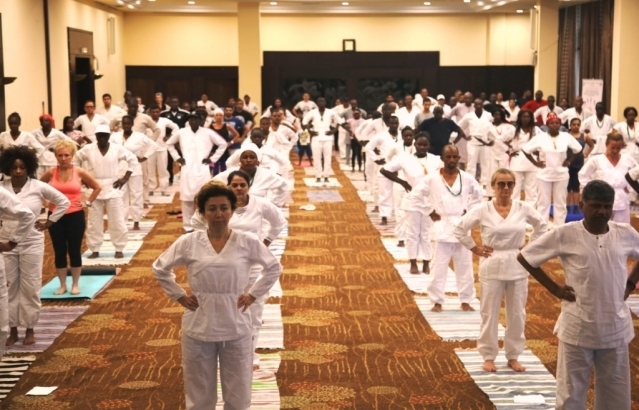 In addition to Indian community, a large number of Malian friends of India and diplomatic community members participated in the celebration and took part in the collective Yogabhyas. 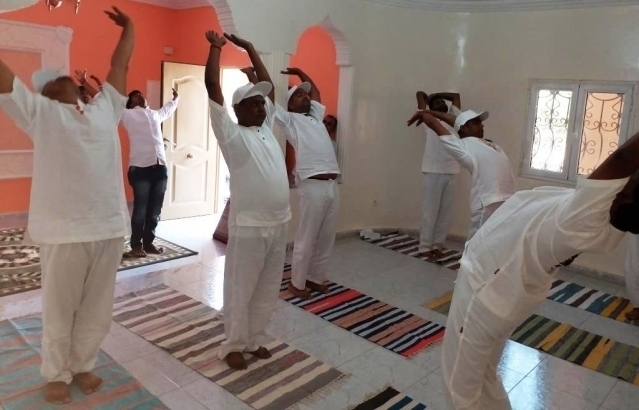 In the run up of the event, a practice exercise was also organized on 10th June 2018 at Embassy premises. 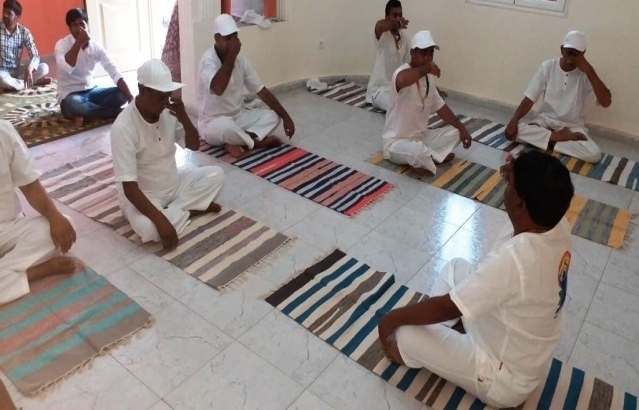 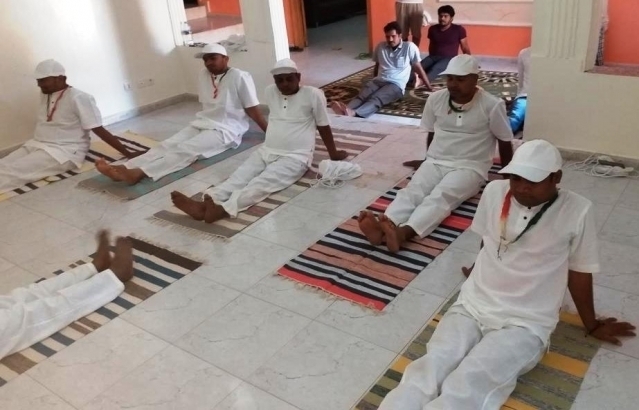 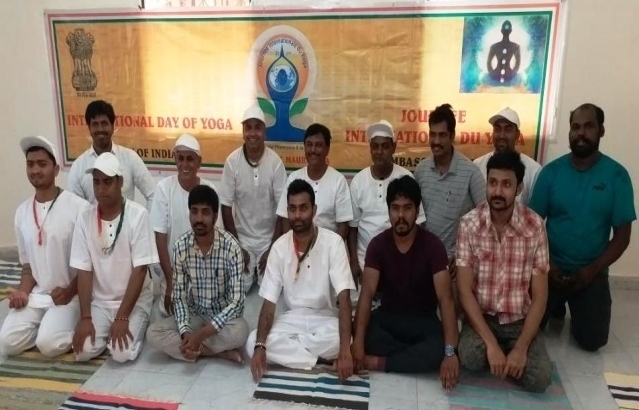 The IDY was also celebrated at Nouakchott, the capital city of the concurrently accredited country of Mauritania on 24 June 2018 with participation of members of Indian community.